When it comes to Ormonde Jayne, I’m one of those people that prefers their florals. I love their style of taking something that could otherwise seem dated or overwhelming and make it feel lightweight and new. And not just light, but light, as in rays of light. I’m all about Ormonde Jayne’s radiant florals. White Gold is like the epitome of a radiant white floral. White Gold is a radiant jasmine. It opens with the sort of pink pepper meets orange zest that has become a signature in other Ormonde Jayne florals. This tangy citrus meets white florals, makes me briefly think about magnolia blossoms in bloom. Then enters the indolic, mothball like jasmine. As weird as this may sound, I think White Gold smells like watermelon rinds and mothballs but I love this. This jasmine “settles” and what reminds is a more palatable jasmine with a peppery (yellow) freesia and spicy, clove-y carnation. Eventually we get to experience the “gold” part of this perfume instead of the glimmering white/platinum part. The base is warmer amber-musk with an elegant sun-bleached moss. It’s not marketed as such, but essentially I think of White Gold as a jasmine soliflore. It’s a perfumer’s interpretation of jasmine. The overall feel is very “Ormonde Jayne”; it’s Geza’s interpretation of jasmine. If you like the florals in the Ormonde Jayne, you’re most likely going to fall in love with this. If you don’t like the brand’s style or their florals, you can easily skip out on this. Personally, I find this to be one of those breathtakingly beautiful florals. It’s gorgeous. 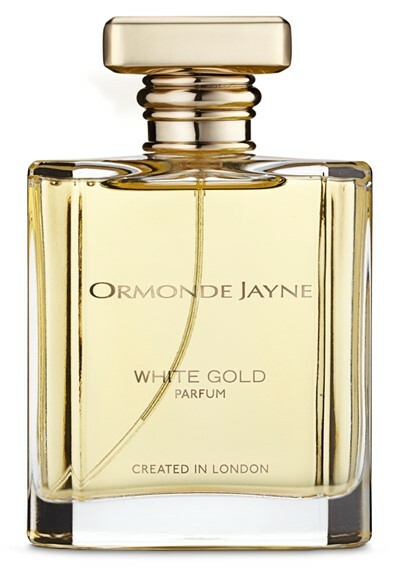 Give White Gold a try if you like radiant jasmines. Or perfumes like Ormonde Jayne Sampaquita (or any of the brand’s florals, really), Malle Eau de Magnolia, By Kilian Love & Tears, INeKe Evening Edged in Gold, Dior J’Adore and/or Diptyque Olene. Projection and longevity are above average but in that totally polite British Ormonde Jayne way. The 4.2 oz retails for $475 at Osswald. *Sample obtained by me. Product pic from the brand. 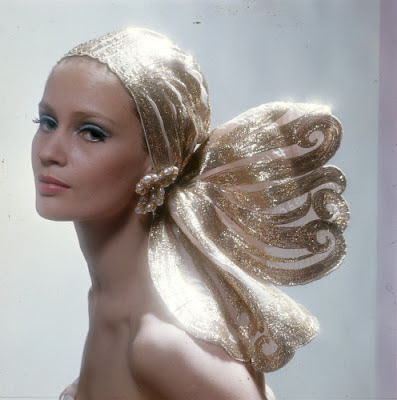 Celia Hammond by Ronald Traeger for Vogue UK 1967 pic from Condé Nast.